Curious how you can use your iPad as a tool for design and visual story telling? Here are some of the best apps for both professional designers and hobbyists to take you from the sketching and planning phase to the final design and end product. 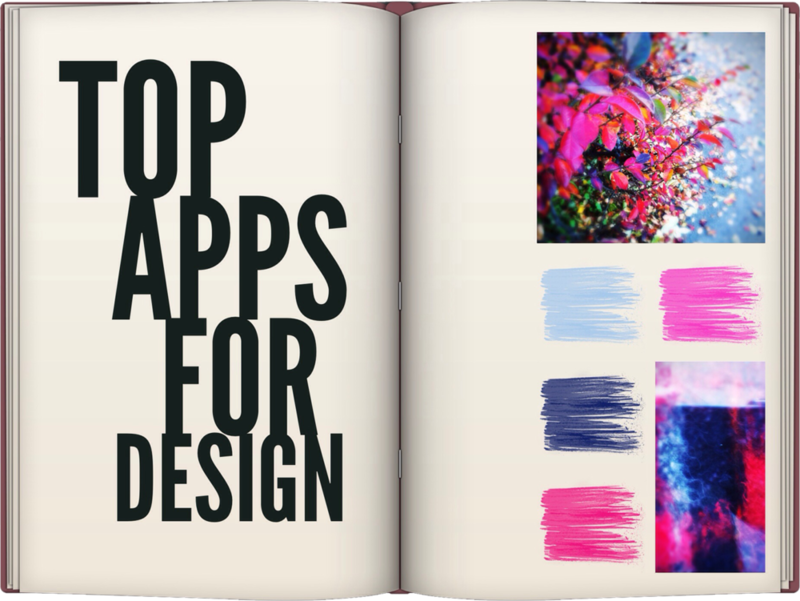 Here you'll find apps for creating palettes and mood boards. Apps for designing fonts, making greeting cards, paper crafts, infograms, posters, surface patterns and ebooks. Turn your Instagram photo into a holiday card, poster, invitation or vintage vinyl album cover. Tools for creating animations, vector & pixel art as well as an app that helps you plan, conceptualise and design iOS apps. Find out how much to charge for your freelance design work and for your iOS app. This list was updated on Thursday, August 25, 2016. Words often fail when translating design concepts. For example, what one person calls “whimsical” another might see as "childish". "Light blue" might be "purple" to another. What one person means by "minimalist and bold" could be perceived as "boring and simplistic" to someone else. By creating a mood board you can quickly communicate atmospheres and complex ideas and concepts. A mood board lets the designer start with broad strokes and get feedback before too much time is invested in what might turn out to be the wrong direction. Colora lets you create mood boards combining images, text and paint swatches, in a gorgeous sketchbook interface. Export and send elegant mood boards to your client. Colora is free. Available for the iPad. Produced by BOSS Paints, a Belgian paint manufacturer that isn't afraid of being different. Easily brainstorm and develop your concept and creative ideas through colour coded mind mapping. Export as jpeg or PDF-file. MindNode is available for the iPod, iPhone, iPad and Mac. Developed by IdeasOnCanvas, Vienna, Austria. Intuitively make and edit colour palettes with ColoRotate. You can work with colors in 3D, in real time, which helps you visualise all the colours and their relationships to others in a way that aligns with how our minds process color. ColoRotate is optimised for the iPad and the web, and developed by IDEA, Maryland, USA. Automatically creates amazing designs. Type in words or phrases, or pick a quote from the app and watch how Word Swag turns your words into a design. Make your own greeting cards based on your own images or Instagram photos, or use the provided backgrounds and send to family and friends via email, text message or post to Facebook, Twitter and Instagram. "Like having a graphic designer in your pocket." 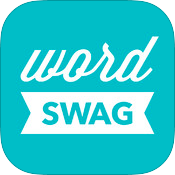 Word Swag is available for iPhone, iPad, and iPod touch. Built with love in NYC by Oringe. Easily add text to your photos. Enhance your visual storytelling with captions, quotes, illustrations for your blog or watermarks for your photos. This is the app to use when you don't want to use the automatic features of Word Swag, instead controlling the whole layout and choice of fonts yourself. Includes several free fonts, but also allows you to purchase more or import your own font to the app. Renders impressive results. Over is optimised for iPhone and iPad, and developed by Potluck. Easily create posters and flyers or invitations to promote your business or to invitations for your party, reunion, shower, or birthday. Spread the word about your garage sale, charity or school bazar. Let people know about your concert, art show, play or book signing. Phoster is designed for iPhone, iPad, and iPod touch. Produced by Bucket Labs. Design a retro record cover by picking a template and adding your images or Instagram photos. Choose the photo tint color, change the text and select your favourite stereo or monophonic header. Make your album look new or give it a finishing touch with “wear-and-tear” layers to give it that well-worn vintage look. VinylizeMe! 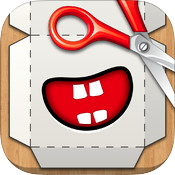 is compatible with iPhone, iPad, and iPod touch and made by BlueSpark Studios, California, USA. Create professional, stunning designs with Canva's intuitive drag-and-drop feature. Easily make your own infographic to visualise data or create a presentation. Present information as an engaging, visual story. Pick a template and add your own text, photos, graphics, and backgrounds. Dropvis is developed for the iPad. 3D design meets paper craft in Foldify. Ceate 3D figures on your iPad, then print and fold them from paper. Foldify includes a collection of figure templates and a colouring book. Get your scissors ready! Foldify is available for the iPad. Made by Pixle, in Poland. Let your story come to life. Create ebooks by adding text, videos, music, narration, audio and images in a book layout. Export to read in iBooks or as a PDF. You can even submit your ebook to be sold in Apple's iBookstore. Book Creator uses the international ePub 3 standard. Book Creator is developed for the iPad. By Red Jumper Studio, Bristol, UK. Create your own custom typeface or authentic, unique handwritten font. Built-in guides and preview mode help you make your typeface look natural and flowing. You can email your font as an editable PDF or generate your font as true type, TTF file that you can use as a web font and in desktop applications such as Adobe Creative Cloud and Microsoft Office. iFontMaker is font editor built exclusively for the iPad and is developed by Eiji & Tom, Inc. Made in Japan & France. Allround digital sketchbook ideal for note taking and sketching out your ideas and concepts. Design and create illustrations, drawings, cartoons and water-colour paintings using wonderfully realistic, precise and beautiful brushes. Tayasui Sketches is available for the iPad. Developer: Tayasui in Paris, France. Powerful, advanced vector illustration and graphic design app with an intuitive interface. You can import and export your artwork as PDF and SVG files, and continue working on your designs with other software. 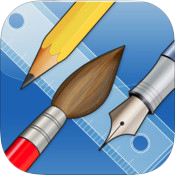 iDraw is compatible with iPad and Mac and is produced by California based Indeeo, Inc.
Retro meets modern in this touchscreen pixel art editor. Supports layers, each with opacity control. Export as PNG or layered Photoshop PSD, which can be shared via Dropbox or other apps for further editing. 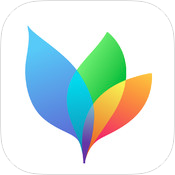 Pixaki is a pixel art editor built exclusively for iPad by rizergames. Isometric vector image editor. Add styles or save as a seamless pattern. Export your geometric drawings as vector graphics in the SVG file format to continue working on your artwork in other vector apps. 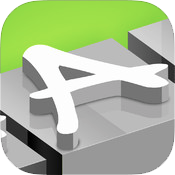 Isometric is Compatible with iPhone, iPad, and iPod touch. Developed by Jan Peter in Friedrichshafen, Germany. AppCooker is an advanced and delightful tool that lets you easily design, conceptualise and prototype iOS apps without writing a single line of code. Helps designers and developers organise, plan and get apps ready for production, served to you in a beautiful and intuitive interface with a streamlined workflow. AppCooker is available for the iPad and iPad Mini and comes with a free companion app, AppTaster that lets you share your project as a clickable prototype with clients, and collaborate with co-workers to get valuable feedback before you reach the coding phase. Made by Hot Apps Factory based on the French Riviera. Animation Desk is a drawing and animation app that helps you create hand-drawn animated figures, storyboards, e-cards, storybooks, or short-length animated movies. Add background music and sound effects. Tools include onion-skinning, dynamic backgrounds, stamps, and a wide range of brushes. Convert your animation project into a series of images in PDF format or share your animation with the via YouTube, Facebook, or email. Animation Desk is available for iPad. Designed by Kdan Mobile, Taiwan. Create seamless pattern tiles for to make wallpapers, website backgrounds, patterns to use in other art programs, or just because you love making surface patterns! See your pattern updated in real time as you design it. Are you a freelance designer and unsure how much to charge? Here's an app to help you calculate how much to charge for your creative services based on the project, client, location, as well as your education and experience. A great tool for the independent or freelancing designer. MyPrice is designed for both the iPhone and iPad and lets you sync information between your devices. Everyone gets stuck sometimes. Unstuck is an app designed to help users handle making decisions, setting goals, seeing possibilities, overcoming obstacles, finding help, rediscovering your purpose, making a plan, crystallising your ideas, getting motivated and dealing with change. 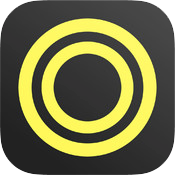 Unstuck is a free iPad app developed by SYPartners, New York and San Francisco, USA.